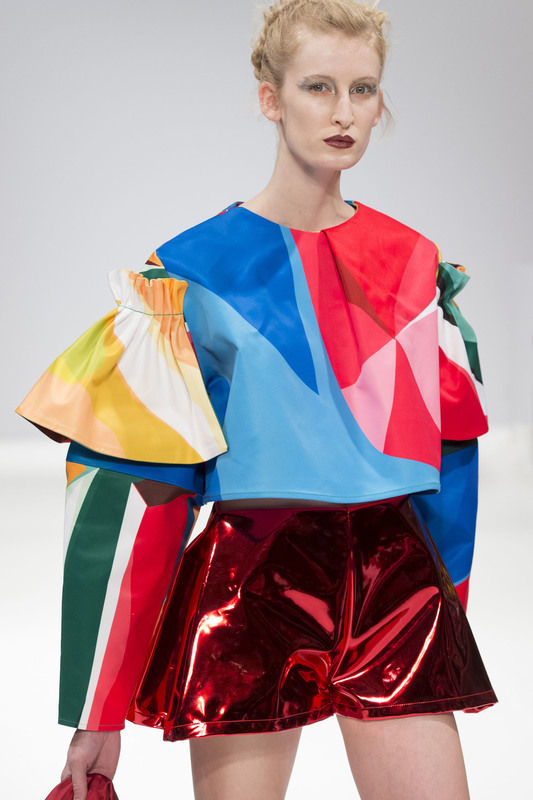 MINNAN HUI IS A NEW FASHION AND TEXTILE DESIGNER GRADUATE FROM CENTRAL SAINT MARTINS 2013. HER GRADUATE COLLECTION – VOLUMINOUS FLAMENCO-LIKE DRESSES TOPPED WITH SPINDLY, SCULPTURAL HEADPIECES – EMBODIED HER FASHION-MEETS-ARCHITECTURE PHILOSOPHY. 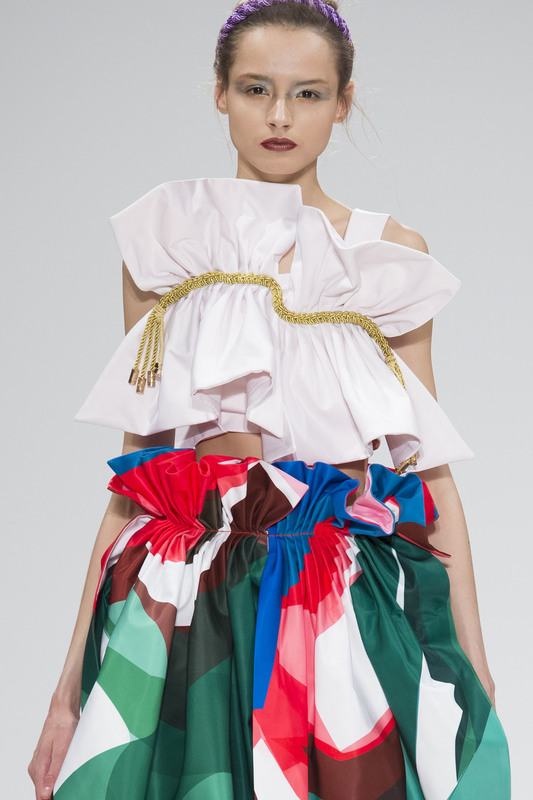 HER GRADUATE COLLECTION WAS SELECTED BY BOF AS ONE OF THE TOP 6 IN CSM BA FASHION SHOW. SHE WAS ALSO SELECTED BY TEXPRINT 2013, EXHIBITED HER COLLECTION IN INDIGO PARIS, ITALY, AND LONDON. SHE WORKED AT JOHN GALLIANO, MCQUEEN, MARY KATRANTZOU AND COMO ITALY. MINNAN HUI’S DRESSES APPEARED ELABORATELY RUFFLED AND LAYERED, BUT WERE INSPIRED BY A DECEPTIVELY UNCOMPLICATED TYPE OF CONSTRUCTION: THE “TRIANGLE SHAPE”, “LAYERING”, AND “THE TWO-DIMENSION CUT” USING DIFFERENT SCALES OF FLOWER PATTERN WITH INTERIOR SPACE BUILD UP A SPECIAL 3D LOOK.